What is the origin of FF. Mid-Century Design products? The products we sell on our website are personally hand-picked by our team from collectors and design enthusiasts from all over Europe. We have travelled (and we constantly travel still) thousands of kilometres to gather the most representative design objects produced in countries well-known in the field, such as Belgium, Denmark, The Czech Republic (the former Czechoslovakia being until not so long ago one of the global leaders of the glass industry), Finland, France, Italy, Sweden, Norway, etc. What is the difference between a Certificate of Authenticity and a Certificate of Origin ? FF. 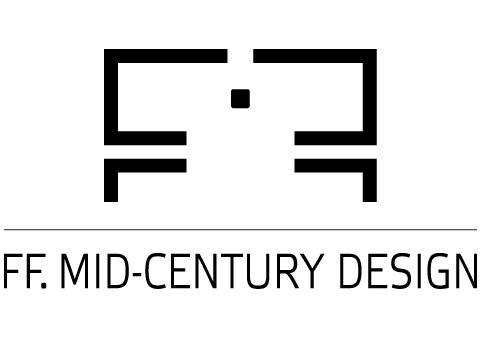 Mid-Century Design issues Certificates of Authenticity for all the products we have enough data of, including the factory and/or the designer. All the products for which you will find at least one of these two elements on the product page are accompanied by such a Certificate, which you will find in the package, when the product is delivered to you. These Certificates contain all the identification details of the respective piece (photograph, size, weight, the designer and/ or producer, description, the country of origin, the period, etc.). For the pieces whose manufacturer/ producer we do not know, nor do we know who the designer is, we issue Certificates of Origin, which specify the country and the period when the piece was produced, as well as other identification details of the respective piece. Are all the products presented on the website manufactured ? No. Having pieces designed by famous designers does not mean – anywhere in the world – that they were the ones who manufactured them; they only designed them, or they produced the prototype. However, a significant part of the pieces presented on the website are produced manually. Almost all glass, china and porcelain pieces (except for the ones where it is clearly mentioned that they are made of pressed glass), as well as the majority of the furniture pieces (between the 1930s and the 1980s, almost all furniture pieces were produced either manually, or semi-manually). When you wish to know precisely whether a product is manually or industrially made, please do not hesitate to contact us in writing, should this information not be clearly understood from the description of the respective piece. Can I add more products after I have placed an order ? It is possible to modify an order only after you have checked the status of the initial order in the Client account tab and you have made sure that it is not already sent out. If it is not sent out, you can place a new order (with what you wish to add to the initial one) as soon as possible, and we will ensure that you receive both orders in one package, so that you do not pay twice for transport. If the combined value of these two orders is higher than the minimum order for Free shipping, then you will not pay any delivery costs. What is the value of the minimum order on mid-century.net ? At the moment there is no mandatory minimum order on our website. How do I create a client Account ? This is an extremely easy process, which does not take more than 3-4 minutes. Please read HERE all the necessary instructions. Good luck ! How can I order FF. Mid-Century Design pieces ? FF. 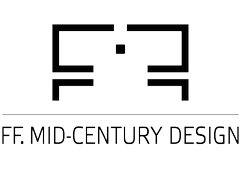 Mid-Century Design pieces can be ordered online, directly on our website (www.mid-century.net). You can find HERE a list of the steps that you need to follow in this respect. Also, HERE you will find information regarding the payment and delivery methods that we accept, as well as regarding the areas where we deliver our products. I placed an order, but I would like to modify it. Is it possible ? Unfortunately, an already placed order cannot be modified. However, you can cancel the entire order, but only after you have checked its status in the Client account tab and you have made sure that it was not already shipped. How long does it take to ship an order ? We ship the orders in a maximum of 24 business hours from the date when the order is confirmed. However, in most cases, the orders are shipped on the same day, if the order was confirmed before 1:00 PM of the respective business day, or during the first part of the following business day. You can always find more details HERE.